Once we were in, it was all great! The address has a double so we ended up 4 km away. And the hotel sign is only visible when you have passed the entrance. And the entrance at the rear is easily confused with other buildings because it is not lit. So we went around the houses to get in. But, once we were in, all was as you would expect and the staff were great. Excellent service. Staff friendly and helpful, including with where to go for eating, transport etc. Room not as good as usual: a matter of building maintenance. The bathroom smelt of drains. The extractor was not working. The sink plug did not work. The outside wall was wet in the room. There was some kind of rot on the wall by the bath. No complaint against people: the room was as clean as possible considering it was physically shoddy and in need of building maintenance. Not worth complaining at the time for one night after a long tiring journey. We had a lovely night there , very quiet.breakfast was more than enough and the receptionist so kind to us.i do recommend this hotel. it's a good experience, it is calm, no problem ! The hotel was clean and relaxing. Only critique I have is that there were limited choices for breakfast. Other than that we have enjoyed our stay here. Very little sleep due to no air-conditioning!!! The worst night away I have had to experience. Travelling with my family including 3 young children who could not sleep due to no air conditioning and experiencing excessive temperatures in a very small room designed for 5. This was exasperated In trying to buy chilled water late at night from the lobby machine which took my money and did not give me the item. The whole reason for using this hotel was good price and air conditioning. We found out only when we arrived. At no point prior to arriving were we informed that it wasn't working and we're offered no alternative, this frankly is unacceptable. The following morning I explained my dissatisfaction to which I received a replacement bottle of water for the money I lost in the machine and limited apology. It appears they could do no more. I have now cancelled my return booking in 8 days time for the same hotel as I cannot bear another such night and is not fair to put my family through this again (although I was told it would be repaired but I am prepared to take that risk). I travel extensively and a regular Accor group user, I am less inclined to use this chain of hotels in future due to such a poor experience. Doors missing hinges for soft close. Every door slams shuts at all hours, meaning a bad nights sleep. Also air con wasn’t working. Excellent service, friendly staff, very comfortable, Because we are English, a kettle for boiling water to make tea would be a nice option. A pleasant stopover reasonable price, slightly reduced choice for breakfast but still better than the competitors. The room was clean and well laid out, we had a good nights rest. Following a poor experience at another chain's more expensive hotel, we were delighted by our reception, by the room, the bathroom , with BATH, by the cleanliness and decor. The Bed was comfortable, the WiFi worked well, there were several plug sockets and lots of shelves. 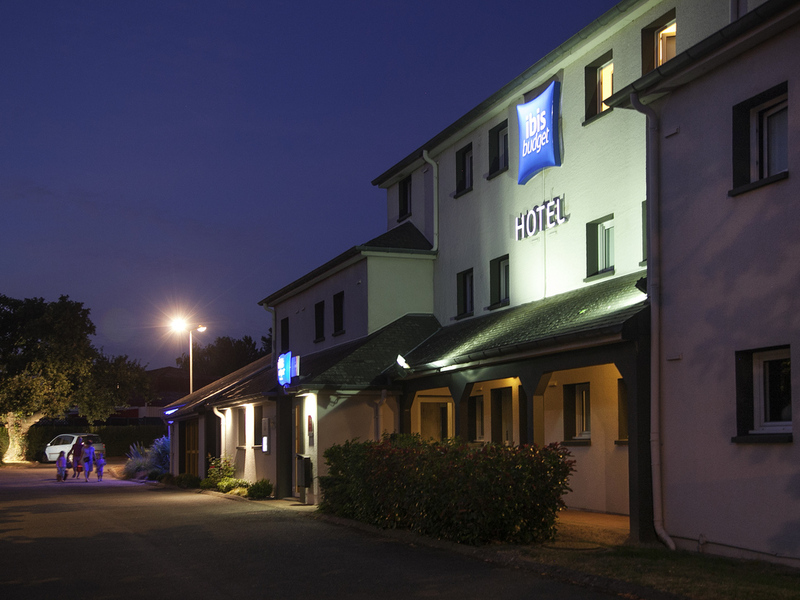 Friendly and helpful staff, plenty of parking, easy to find, the usual very clean and comfy room, plentiful breakfast, places to eat close by, fuel station just up the road. Booked in advance and paid very reasonable rate for one night stay. We always try to stay in Ibis budget hotels in France - they really have it right compared to others. Planes flew low overhead in the evening, but stopped in plenty of time for a good night's sleep. Good value for money. Kind helpful staff. Good breakfast.